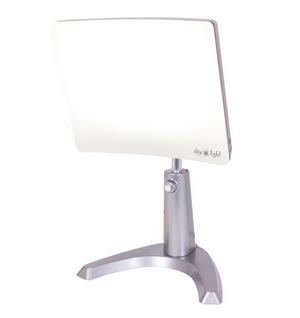 The Carex® Day-Light Classic Plus light therapy lamp is used to help treat seasonal affective disorder (SAD). The Carex® Day-Light Classic Plus light therapy lamp is used to help treat seasonal affective disorder (SAD). SAD is a type of depression that occurs mainly in the fall or winter (Winter Blues). Bright light therapy can also be used to help relieve circadian rhythm sleep disorders, shift work adjustment, jet lag and low energy levels.